The official start of summer means more people are generally spending more time outdoors, which also means their dogs are with them, especially when hiking and camping. Rising temperatures can also mean more snakes are active, resulting in the risk of more snake bites for both humans and animals. Of course if you spend a lot of time in "snake country" (could be the de sert or woods, depending on where you live) you either wear snake proof boots or snake gaiters over your own thick leather boots, but what about Fido? Unfortunately there are no such products for canines, but even if there was, you might have a hard time convincing your pooch to wear them. So what can you do to keep your dog safe from snake bite? Check out rattlesnake avoidance training! "Prevention is your number one line of defense in protecting your dogs from venomous snakes. When dogs and their owners go hiking, camping, or to the park where dogs go off leash, this training teaches them to be fearful of the rattlesnake. It also protects the people as well, as the dog becomes an alert system. This training has proven to be an effective tool in teaching rattlesnake avoidance to all dogs from Great Danes to Chihuahuas," explains John Potash, co-founder and co-owner of Get Rattled. Get Rattled is a unique training clinic designed specifically to teach dogs on rattlesnake avoidance. The clinic has been in business for 14 years and has successfully trained more than 5,000 dogs. Potash is licensed by the Nevada Department of Wildlife and has 24 years of experience working with venomous snakes and wildlife in areas of animal control, wildlife rescue, and public education. He works with skilled dog trainer Willie J. Stevens Jr. who has more than 20 years of experience training and judging pointing dogs. The training is held at Olive Hills Kennels in Knights Landing, California. If you live in a different state that is known to have a problem with snakes, ask around or search cyberspace for a similar training program near you. But what happens if your beloved canine gets bitten despite your best efforts to protect him or her? Dogs are usually bitten on their front limbs, neck, head, or face so look for bleeding and severe swelling in those areas. A dog will often act as though something is bothering them by rubbing or licking the affected area. After some time, the venom may produce nausea, vomiting, and the dog can seem lethargic. If you see a snake bite happen or notice these symptoms, keep your dog calm and get to a vet right away. If your vet determines that your dog has been bitten by a rattlesnake, he or she can administer an anti-venom shot. Veterinarians in areas that are experiencing higher than usual incidences of snake bit in dogs also recommend a vaccine booster shot every six months. 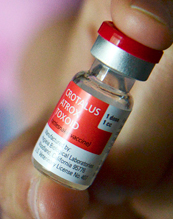 The vaccine is important not only because it can help limit the damage done by snakebite, but also because it costs far less than the anti-vemon. Although the vaccines cannot prevent a dog from suffering a snakebite, and they aren’t effective against all snakes found in all states, vets have reporting seeing plenty of dogs who are alive because they received the vaccine booster. 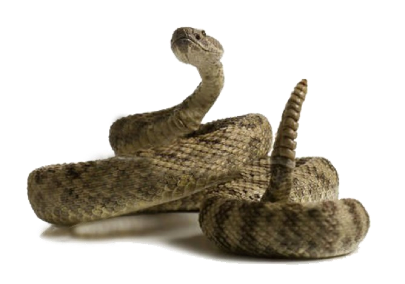 The vaccine is effective against bites from western rattlesnakes and timber rattlesnakes, but not eastern rattlesnakes or water moccasins. Not all dog owners need to worry about vaccinating their pet, especially if your furry family member is primarily an indoor animal. But if Rover lives outside, like a hunting dog, or if your pet tends to wander around or is your hiking companion, talk to your local veterinarian about getting the vaccine.